Your neighbor’s lawn. You’ve envied it for years, noting its deep green color and lush, soft look. Every spring, you head to the homegoods store and buy everything you need to try and mimic it. You spend hours raking, seeding, fertilizing, and watering; yet, it never seems to compare. Call lawn care services in Atlanta for an on-site assessment of your property so you can create a lawn your other neighbors will envy. Did you know there are more than 12,000 different types of grass? And this doesn’t even include the wild grasses. Lawn grass can be a very fickle plant to cultivate. With a dual, fibrous root system, you often end up with grass where you don’t want it and the inability to grow it thickly where you do. Only trained experts from a lawn care company in Atlanta will know the best type of grass for your lawn is. Where you live matters a great deal. City vs. country, sprawling acreage vs. a postage stamp plot, and most important the grading that was done to the land before your house was built. All of these factors affect your lawn’s ability to grow grass. Simply purchasing an advertised product won’t necessarily have the desired effect on your lawn. You need to consult with professional lawn care in Atlanta.They have years of experience with other homes in your area. Their knowledge will cut your learning curve and you’ll see results faster. No one can control the weather, but an experienced lawn care company in Atlanta knows how to react to it. Maintaining your lawn effectively is a bit like farming. Each grow season is its own battle depending on the year’s weather patterns. Countering mother nature’s assaults takes knowledge, skill, and finesse. Work together with your lawn care service and you’ll maintain a healthy balance in your lawn’s root system. Your ultimate goal is to create a healthy, stunning lawn that requires as little hands-on maintenance annually as possible. This is not always a quick process. 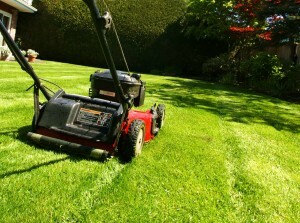 You’ll need to work closely with your locally owned lawn care service in Atlanta before seeing comprehensive results. Like everything in life, the best experiences are the ones worth waiting for. Your first step onto your lush, green, blended grass will be worth the wait. Grass is a plant; it’s just not in a garden. It has roots and stems. It can wither and die, or it can flourish. And, like any other plant, you can’t simply deposit the seed and wait for it to grow to fruition. It needs attention, food, and water. 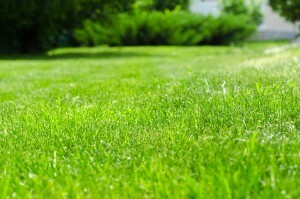 For a healthy landscape surrounding your home, call lawn care services in Atlanta.